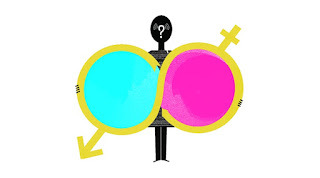 JLL, a real estate corporate is looking for trans persons for various levels. 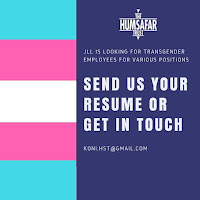 This could be an opportunity for Transgender (Trans Woman and Trans Man) to get a job near to their respective place. 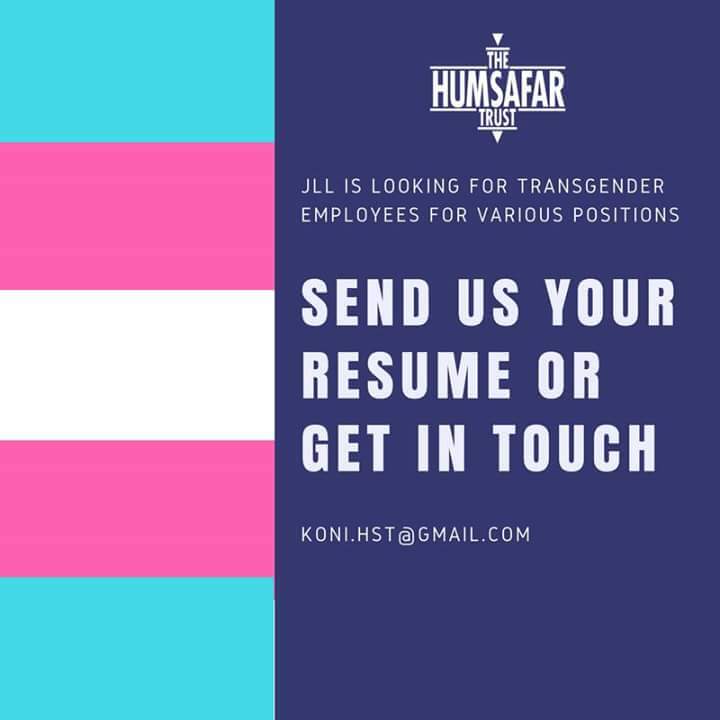 The Humsafar Trust is helping Trans community along with LGBi on various paths, now they (HST) is taking this initiative for this company's job offer for Trans community. The coolest thing, jobs are Open across India! Last date is 30th October 2017, so be sure to send your resume before that. PLEASE SHARE THIS PAGE AS MUCH AS POSSIBLE! SHARE ON FACEBOOK RIGHT NOW!